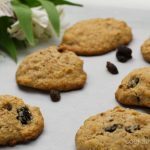 Oatmeal granola cookies – awesome to use up those little bits of granola at the end of the packet! I recently bought some gluten-free granola that I’ve been working my way through for breakfast. But, I have a strange quirk, where I may buy something because I’ve been wanting to have it for so long, but after a few servings, I’m totally over it. This granola was like that. After a few mornings, I just wanted to go back to my normal breakfast of fruit and nuts with almond milk. But, what to do with leftover granola, apart from giving it to Grant to eat? And that’s where this recipe came in. I’ve also made it with my own granola (check out all my granola recipes here). You know, when you get down to the bottom of the container and most of the yummy chunks have gone? And it’s almost a chore to eat it in the mornings? This is a great way to use them up. No one will know the difference! All good and healthy ingredients, no refined sugar, so ticks most of the boxes for me. And they were very yummy … both the dough and the finished product! Give it a go and let me know what you think. In a medium bowl, whisk eggs, coconut oil and maple syrup. In a separate bowl, mix the flours, oats, baking powder and cinnamon. Pour wet mixture into dry mix and blend well. 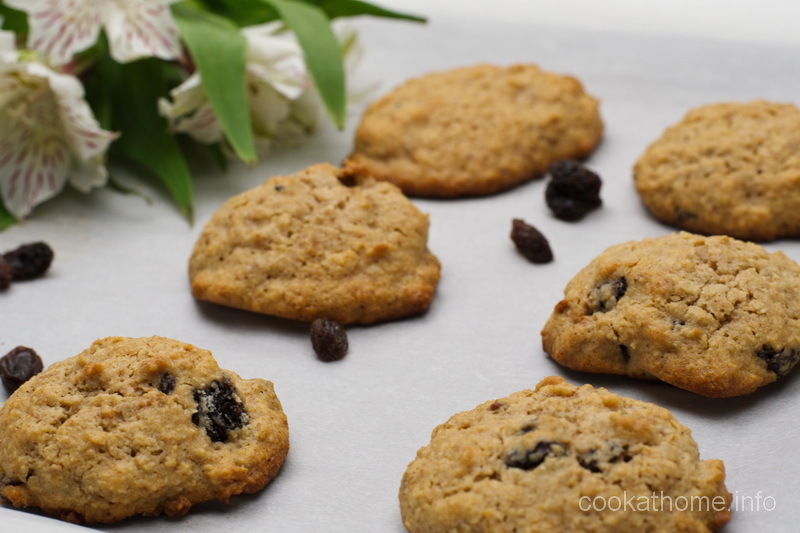 Add the granola and raisins and fold into cookie dough. Form round balls and place them on the cookie sheet. Press down gently to flatten. Bake for 12-15 minutes, until golden brown around the edges. Remove from heat, allow to cool for 10 minutes before transferring to plate. To make this corn-free - substitute the 1 tsp baking powder with 3/4 tsp baking soda and 1/4 tsp cream of tartar.